Bunny Bunting is a great sewing project for beginners.You can use different hand stitches to decorate your bunny, or learn how to control a sewing machine as you follow the bunny contours. My sister-in-law is an amazing crocheter. She is able to glance at a chart, instinctively know what all the symbols mean, and then pick up her hook and create a corresponding crochet masterpiece. 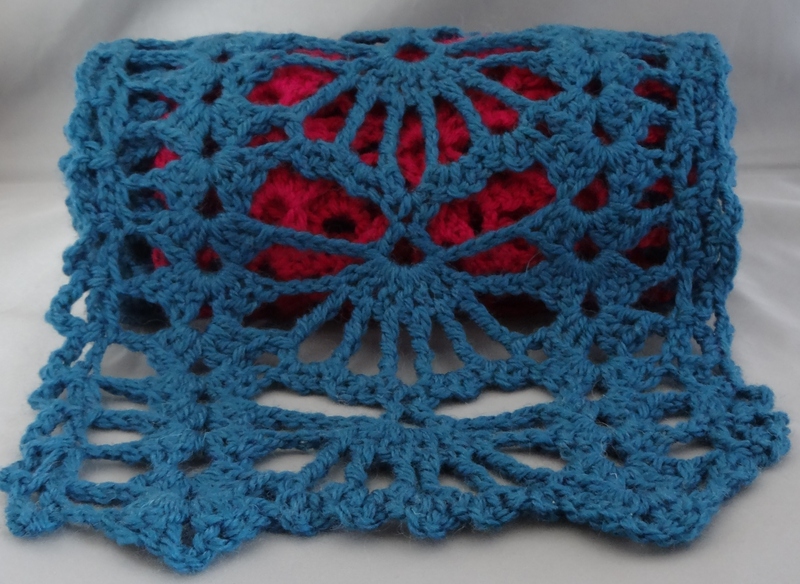 She has long encouraged me to learn how to read a crochet chart and at last I have done it! It has opened up a whole new world for me where language no longer matters. Here is my first crochet chart make. 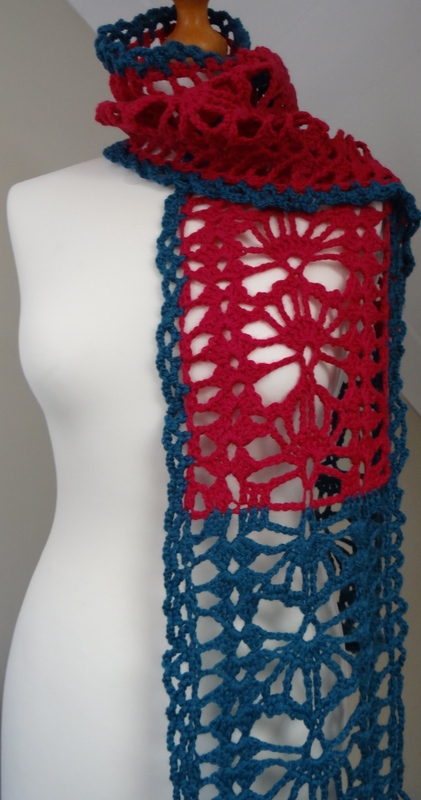 The design is based on the Fan Centred Scarf in Judith Durant and Edie Eckman’s Crochet One-Skein Wonder book. Can you see those beautiful fan shapes at its centre?